Japanese laurel ‘variegata’ is one of the many spotted laurel varieties and cultivars available. However, this variety turned out to have the right qualities to become the most popular of them all. 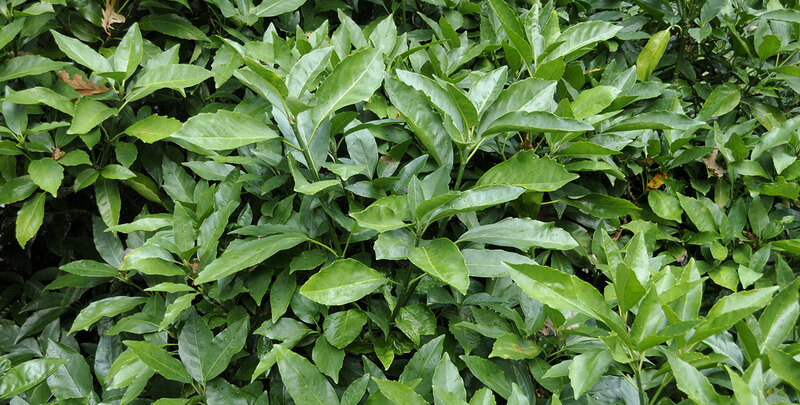 Japanese laurel ‘Variegata’ is a compact, medium-sized evergreen, hardy shrub with leathery, 20cm long serrated leaves that thrives anywhere, but it will feel most at home in a spot in the shade, for instance beneath a tree. Only very harsh winters are potentially harmful to Japanese laurel, but these rarely – if ever – occur in the UK. 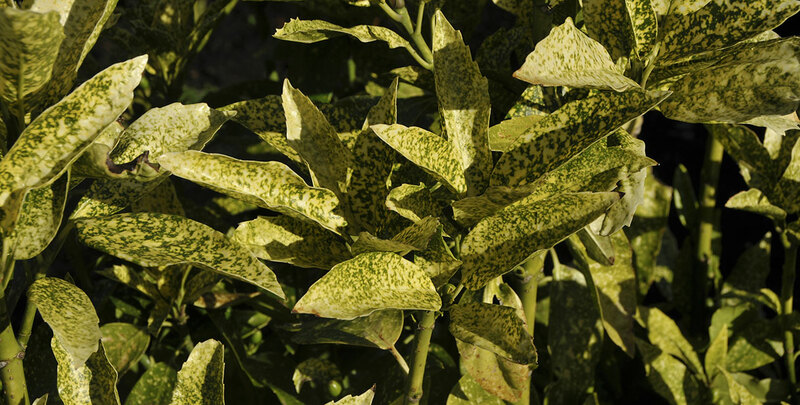 This is why spotted laurel ‘Variegata’ can be considered a fully hardy plant. This strong, dense hedging plant will even tolerate pollution, which can be advantageous if you live in the city or along a busy road. For this website we have selected two outstanding varieties that are perfectly suited to garden use – 'Variegata' and 'Crotonifolia'. They do not differ much, barring a few features. There are minor differences in the shape and colour of the toothed leaves. Also, the yellow spots on ‘Variegata’ are somewhat smaller than those on ‘Crotonifolia’. Another difference that should be noted however, is that the variety ‘Variegata’ is a female cultivar. Fully grown, adult plants will produce beautiful red, shiny berries from small, purple flowers, which cause it to stand out even more. When using spotted laurel for hedging purposes, pruning is a necessity. Pruning a ‘Variegata’ is not difficult at all. Just make sure to use secateurs as this is best for the leaves. Do not expect your ‘Variegata’ hedge to grow as quickly as, for example, a yew hedge – it takes a bit of patience to grow Japanese laurel ‘Variegata’. But this patience will be rewarded, and ‘Variegata’ will adorn your garden with its pretty leaves and red berries for decades to come.